A light guide plate is a plate, made of an aryl plastic, on which special printing is applied. An LED light-source, which is arranged on the side of the plate, casts light stream into the plate. The light guide plate emits uniform light from its surface. guide plate emits uniform light from its surface. We make a light source required by customers (or customers may provide a light source to us), perform a simulation, make a prototype, and manufacture products. We also select a reflection plate and a diffuser plate suitable to the light source. There are two types of area light sources. This light source uses a diffuser plate that is placed over LED lights. If the light source is consisted of many LED lights, it can have high luminance. But, if you need uniform light distribution, the diffuser plate has to be placed considerably distant from the LED lights, resulting in thicker shape. This light source uses a light guide plate, resulting in a thinner shape than that of the diffuser type. Though the light guide type needs more parts and emitting light is lower than the diffuser type, it has brighter and wider surface with less numbers of LED lights. 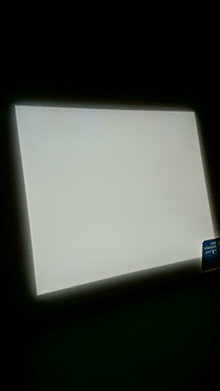 This light source is applied to a backlight of thin-type LCD. it is also applied to a card-reader because the light guide can be set in a narrow space. 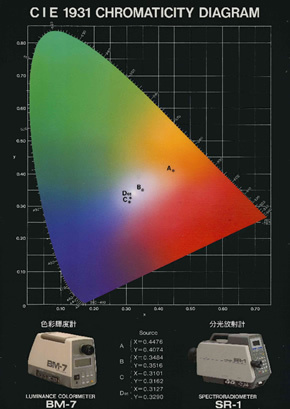 ■We measure luminance and chromaticity, using a luminance color meter (TOPCON BM-5A). 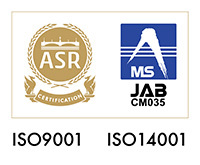 ■Since we use original ink, printed surface is less unevenness and has high luminance. ■We can produce stable patterns due to silk printing method. ■It is suitable to small or medium lot production because initial cost is less than large lot production (using metal dies). ■We design mechanical structures using 3D-CAD.